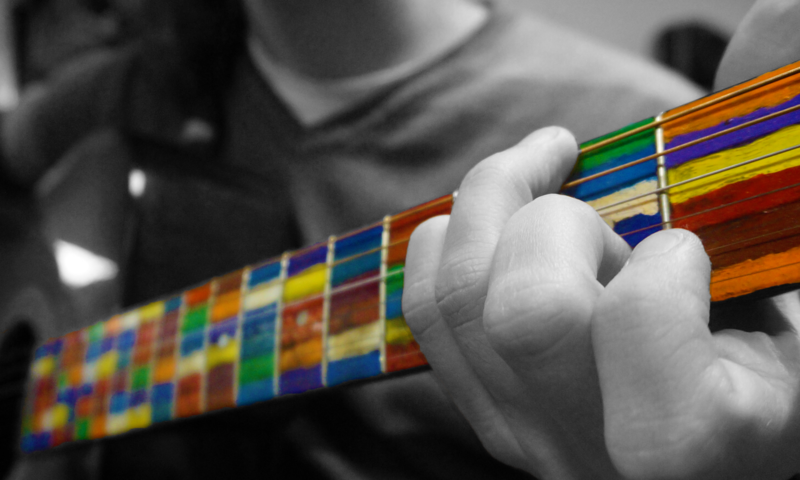 “Pluck and Chuck” is a term I use to discuss a group of percussive guitar techniques that integrate closely with finger style guitar playing. This includes thumb slaps and combination flick/slap strokes (which I call chucks for short). This series starts with a basic lesson on the techniques involved, and goes on to explain how to play songs with it, improvise solos, and gives some suggestions for exploration! This started as a series focusing on a technique singer-songwriters have been using since at least the 70’s to add a rhythmic twist into their playing. It probably emerged from clawhammer banjo (which was earlier and used a similar idea). Since that time, the technique has evolved a lot but without many people in guitar circles discussing it directly. This series is an attempt to observe all the new techniques that are cropping up and tie them together into a cohesive set of lessons that make them easy to master and expand. This is the part where I find a use for my useless music theory degree. I’ll explain the underlying patterns in the songs, how to play the basic techniques, and how to expand all these ideas to do improvisations and write your own songs. This is the good stuff, so I hope you’re hungry.